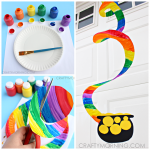 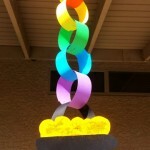 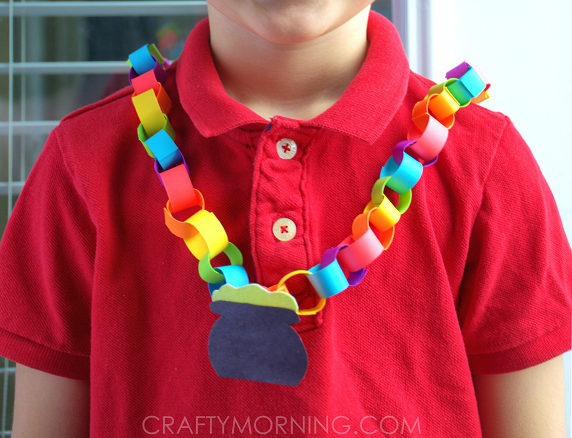 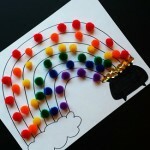 After our rainbow chain craft we made last year was a hit, I decided the kids should make pot of gold necklaces! 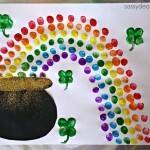 I think this is a great St. Patrick’s Day art project for younger kids as it uses fine motor skills. 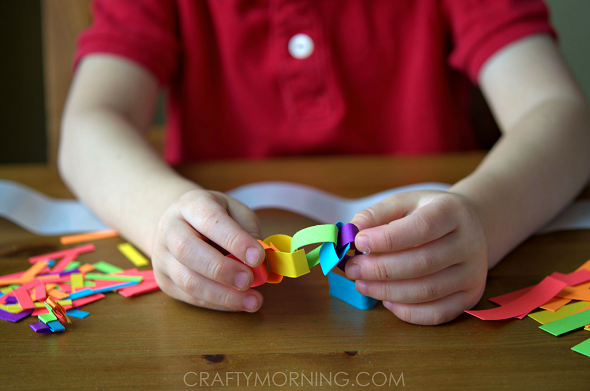 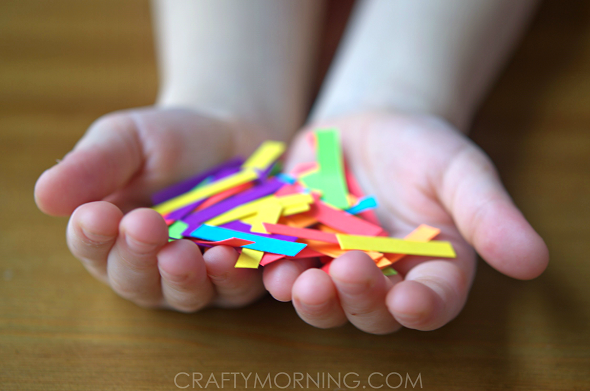 Have the kids cut little strips of red, orange, yellow, green, blue, and purple paper. 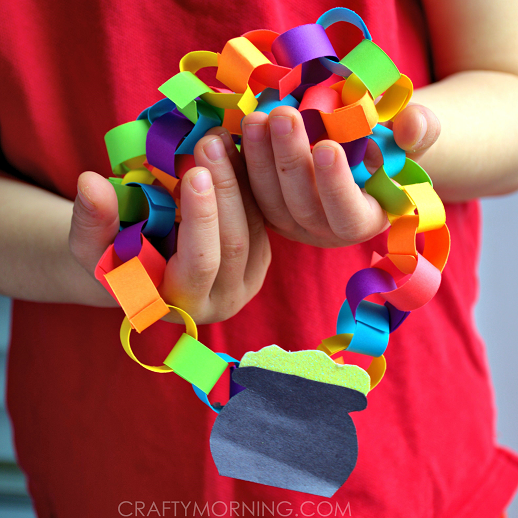 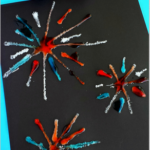 Using glue dots or a stapler, have the kids interlink the paper pieces into a chain. 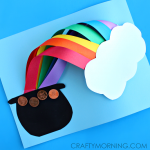 Cut out a black pot of gold and glue it to the front of a paper roll. 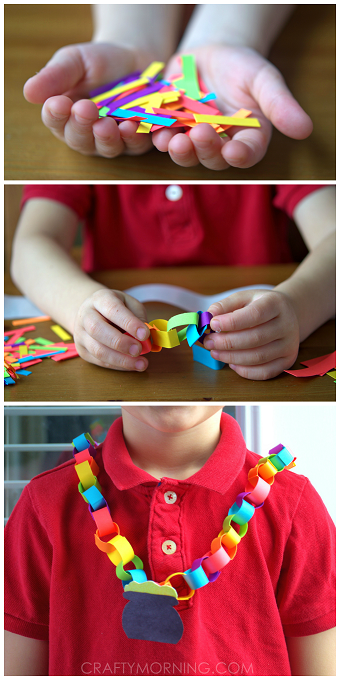 The kids can choose if they want a long or short necklace. 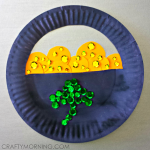 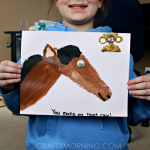 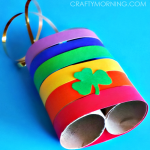 If you liked this one, check out my other St. Patrick’s Day crafts for kids!